You are here: Virgin Islands News Online » News » Governor Jaspert to rescue; removes Treasury from West End make-shift tent! Governor Jaspert to rescue; removes Treasury from West End make-shift tent! 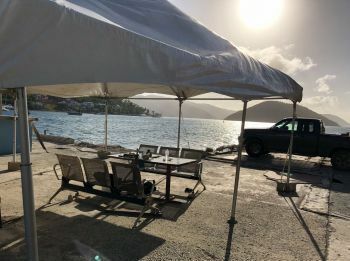 WEST END Tortola, VI - Residents and Public Officers—from the Customs, Immigration, Treasury and the Ports Authority at the West End Ferry Terminal—describe the poor working conditions, as shameful, and embarrassing. 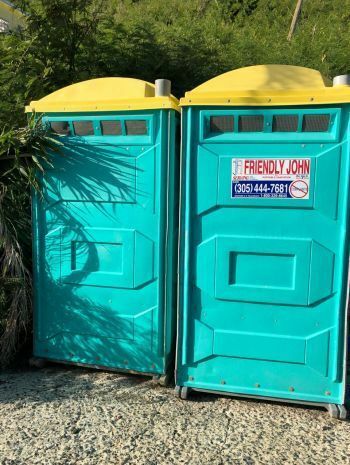 Following the Hurricanes of 2017 that destroyed the West End Terminal Building—used to house Public Officers, visitors and residents entering the Territory—they were forced into a make shift tent outside, where they would get wet when rain falls, along with some temporary restrooms. Our news desk carried many articles on the unsafe environment were Treasury Officers were also forced to collect public money from under the tent, placing them in a compromised security position. More than ten months later, the situation has not changed despite many promises by what many political commentators, describe as a ‘lame-duck’ National Democratic Party (NDP) Government. Minister for Communications and Works, Honourable, Mark H. Vanterpool (R4)—who announced he will not seek re-election next year—has given numerous different dates in the House of Assembly (HoA,) for the matter to be addressed. 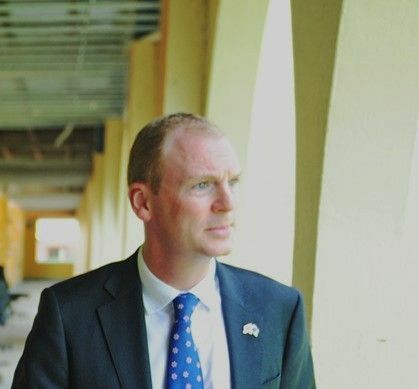 Head of the Civil Service, United Kingdom appointed Governor, Augustus J. U. Jaspert aka ‘Gus,’ held a meeting earlier last month with the heads of the Treasury, Customs, Immigration and the Ports Authority to come up with a solution to the shocking working conditions. Governor Jaspert was forced into action because the ‘lame-duck’ NDP Administration could no longer be relied on to correct the issues after many promises and calls made by Opposition Leader, Honourable Andrew A. Fahie (R1). At the meeting the Governor gave the NDP Government 45 days to address the poor working conditions, or else, but 45 plus days later no action was taken. While the small temporary trailer is now opened up, only some supervisors use it to do minor paper works and store files. The Governor also demanded that the Treasury Department be moved from the West End Ferry Terminal—a portfolio coming under outgoing Premier, Dr the Honourable, D. Orlando Smith (AL). Its last day of operations there was on August 11, 2018. Currently, Customs is collecting their own funds at West End using a receipt book, according to persons familiar with the Terminal’s operations. They are still doing this under a make shift tent. Currently also, only Customs and Immigration Departments are left at the West End Ferry Terminal. In addition, because of the weakness of the NDP Government and lack of Leadership, Governors, starting with former Governor John S. Duncan OBE, has had to intervene to the delight of the public and do their work. The public is awaiting to learn when the HoA will be dissolved paving the way for a General Elections, however, it appears that the unpopular NDP Administration appears willing to hold on to power at all cost until summer of 2019. Let’s hope the incoming government conduct a detailed investigation into the lack of transparency and more worryingly the reasons why NDP want to keep everything layered in smoke and mirrors. Maybe the UK will lead the way in this and make those stand accountable if found guilty and take away the proceeds from any crimes from them. Don't be a ghost, Jaspert. Where'd you put that cigar box full of money they had under the tree? I would not have officers working in those conditions if I was in charge of any of those departments. It goes to show weakness in leadership and management. Lame duck or failed government. It is shameful and embarrassing that the Guv, the UK’s eyes and ears in the territory, sees things and makes things happen while the local government wonder what happened. Call election now; stop milking the clock. The VI needs relief from the lack of action. The HOA is prorogued so just set the election date. The serious and prepared candidates should be ready.